Clifford graduated from the West Coast College of Massage Therapy in 1990. He has been providing high quality massage therapy care in North Vancouver for over 20 years. Clifford co-created Second Narrows Massage Therapy Clinic in 1997 in its current location in Mountain View Village. Clifford had the honour of teaching at West Coast College of Massage Therapy in 1993 until 2000. Clifford also spent four years as a board member of the Massage Therapists Association of British Columbia. Clifford’s practice of 20 years has focused on helping his clients overcome injuries, manage chronic conditions and correct bio-mechanical dysfunction. 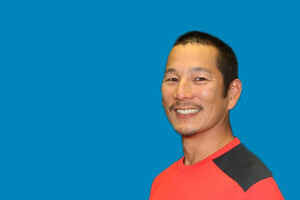 He primarily focuses on deep tissue massage, myo-fascial release and muscle energy techniques. Clifford continues to take classes and courses to constantly upgrade his skills and knowledge to address as many needs as possible to best serve North Vancouver. Clifford has an active lifestyle throughout his life from skiing, snowboarding, cycling, golf, running, gym workouts and ice hockey. He believes that being active is a crucial part of a healthy body, mind and soul.